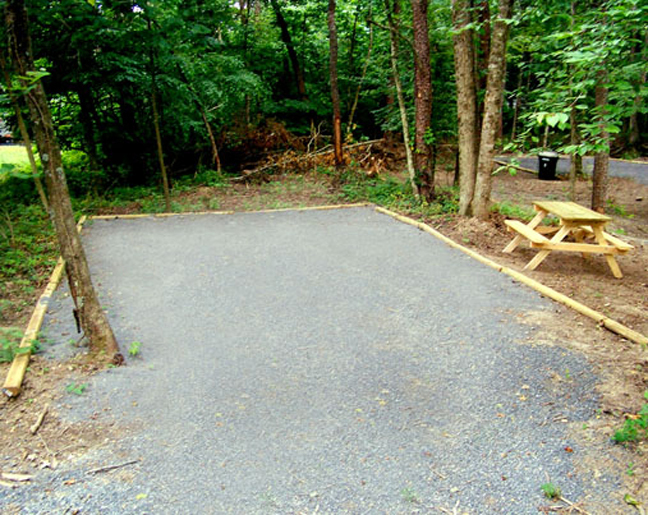 Tent sites are located in woods and are dirt based and limestone sand based. Other sites are grass based. 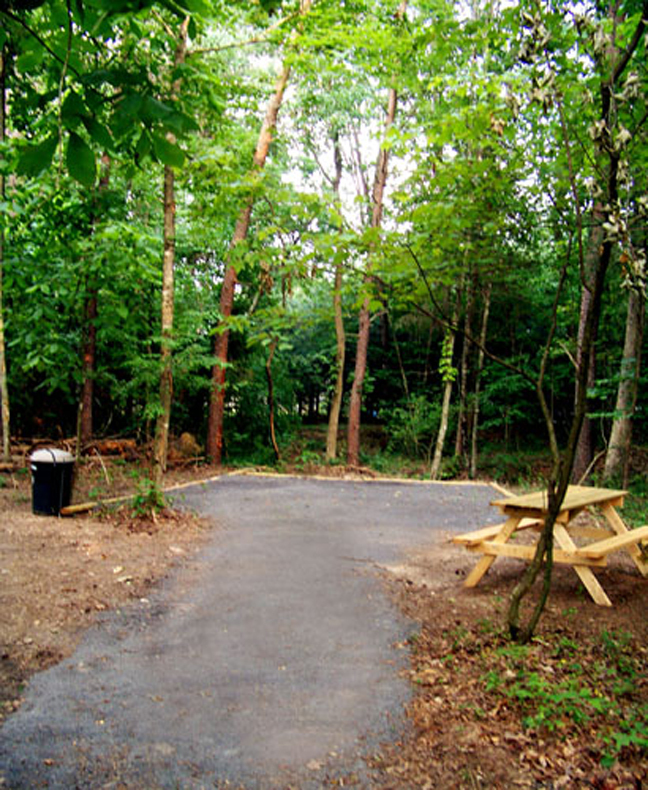 Tent campers are provided with a picnic table, fire ring, trash can on a site large enough to pitch two tents . The Buckhorne provides a water hydrant for tent campers and an electric outlet near the bathhouse for pumping up an air mattress. 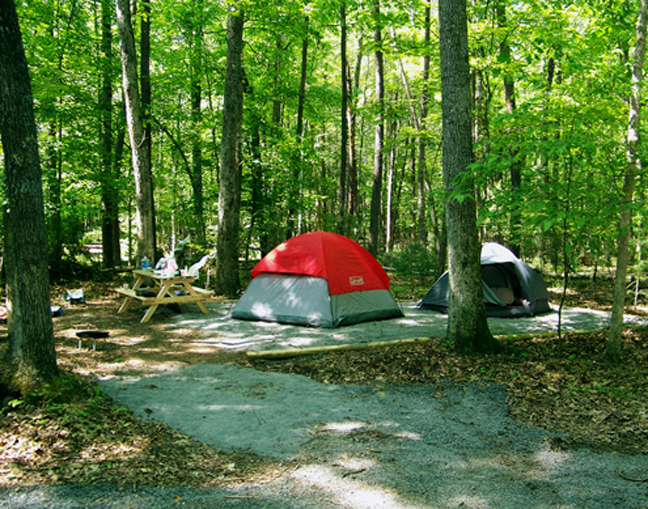 Tent sites are limited to eight campers per site. Sites rent for $25 per night, $150 per week, and $390 per month. 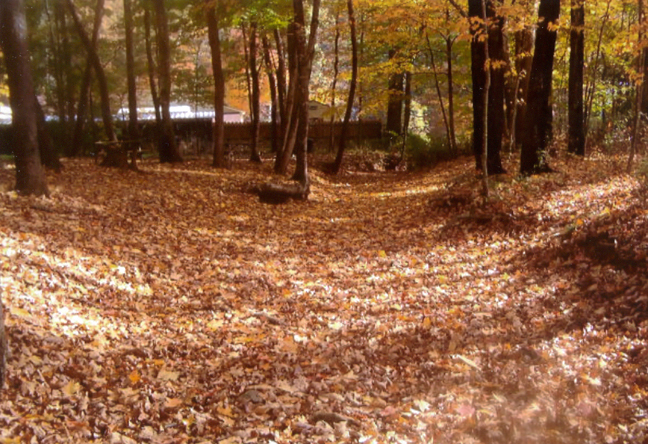 (above) Autumn leaves line the dry creek bed that stretches past two tent sites. 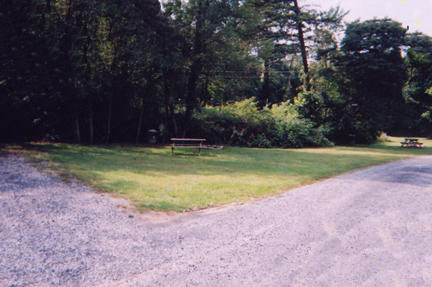 Sites A & B are examples of grass based sites. The Buckhorne's tent sites are shaded. 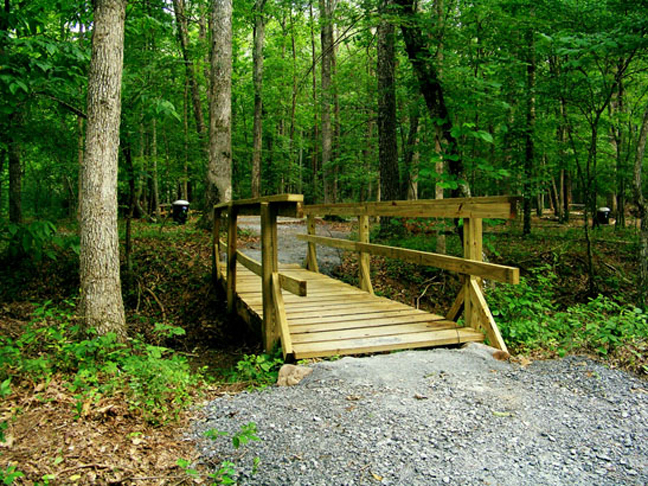 This Buckhorne camping area opened Memorial Day weekend of 2008.